Plant a Tree – I know I’m opening with the obvious here, but we’ve got to start somewhere, right? The main goal of Arbor Day is to encourage people to plant trees, preferably with the help some of our community’s youngest members so that they can learn through experience and watch their efforts grow. It’s important to pick the right tree for the right spot, so take some time to think about where you want your new tree to go, and which attributes you want it to have. Is dense shade most important, or are you more interested in blocking the view of your neighbor’s clothesline? Are there power lines or other structures that impose any restrictions on how tall or wide your tree can get? Asking these types of questions will help you set priorities when making your tree selection. Once you know what you need and want from your new tree, stop by Civano Nursery (where all trees are 20% off for Garden Club members through Friday, April 25th), or browse our online catalog to find the best one for your situation. Hit up our website’s how-to page if you need tips for planting or staking your new tree, and visit our watering care page if you need help figuring out how much and how often to water. After you’ve planted your tree, make sure to fill out a planting report on Mayor Rothschild’s 10,000 Trees Campaign so that we can track how much closer Tucson gets to our goal of planting 10,000 trees by the end of 2014! Gift a Tree – Not all of us have room for a tree (or a garden to plant one in), but chances are pretty good that you know someone who does! Arbor Day is a great occasion to gift a tree to someone you care about, and they’ll appreciate it even more if you’re willing to help them dig the hole. Planting a tree is a wonderful way to mark important events in our lives, whether it’s a graduation, the loss of a loved one, or a new addition to the family. A tree is truly the gift that keeps on giving! Volunteer – The Mission Garden is just one of the many unique places with volunteer opportunities for greenthumbs in Tucson. 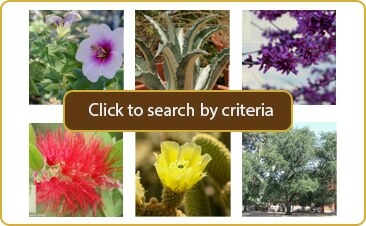 This garden explores Tucson’s origins with native and heritage plants that have a significant place in our history. Here you can find an orchard of fruiting heirloom trees that are believed to be descendants of the very first orchard trees ever planted in the Old Pueblo. Take a Hike – Tucson has some really admirable trees to gawk at. This Arbor Day, grab some sunscreen and a good hat, and set out on a pilgrimage to visit some of our community’s weirdest, biggest, most impressive, or most historic trees. The UofA campus has been curated and cared for longer than any other green space in Arizona, so even if you don’t find one of the official Great Trees of Arizona that are located there, you’ll still have plenty of greenery to look at. You could also visit Phina’s Tree, the tallest tree in Tucson; located on the south side of West Congress, just west of the Santa Cruz. Be Informed – If you want to do something tree-worthy on Arbor Day but don’t want to dig a hole or take a hike, how about taking some time to learn about how your trees are impacting your pocketbook? The National Tree Benefit Calculator can tell you how much money each tree is saving you, how much more it can save in the future if it continues to thrive, how much storm water runoff it intercepts, how much it increases your property value, how much energy it conserves, and how it affects our air quality. All you need for a calculation is the identity of the tree, and the diameter of its trunk at about 4.5 feet from the ground. Money may not actually grow on trees, as Eric claimed in this April Fool’s video, but their other benefits are almost as good! Tell a Friend – So, Arbor Day isn’t the social holiday that it was in the past with school holidays, parades, and community gatherings, but that doesn’t mean it should be forgotten altogether! 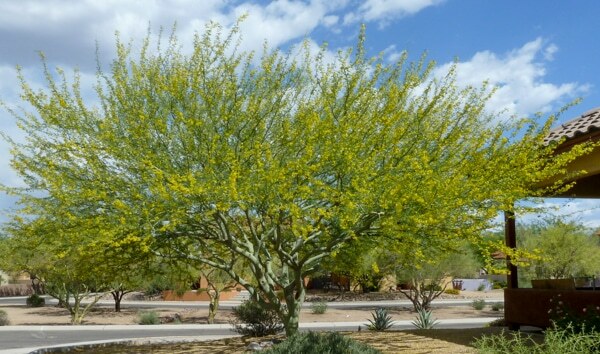 It always falls on the last Friday of April here in Arizona (the date varies by location because seasons vary by location), and while we don’t all necessarily need a special day to remember that trees are swell, I’m really glad they still have their day in the sun.